Bryant Park on the Web brings you the latest news clippings about Bryant Park. We'll be checking in every few months to keep you up-to-date on the activities, sites, and stories that everyone is talking about. In this Q&A with lauded landscape planner Mia Lehrer in Los Angeles Magazine, she mentions her admiration for Bryant Park's approach to making public space. The Baltimore Sun's put together a list of the Best 100 Things to do in NYC. We were thrilled to see that Bryant Park came out on top as #1! A Jacksonville paper, Metro Jacksonville, discusses what a local park called Hemming Plaza can learn from Bryant Park's successful turnaround. Upon the opening of Winter Village on October 21st, the Daily News shot a great piece at our very own free-admission rink (and featuring Bryant Park Corporation's very own Sarah Stutman!). One of our favorite newsclips of the season was put together for the NYU newspaper, NYULocal. A student wrote a humorous piece entitled How to Enjoy Yourself at Bryant Park's Winter Village (After Getting Dumped). 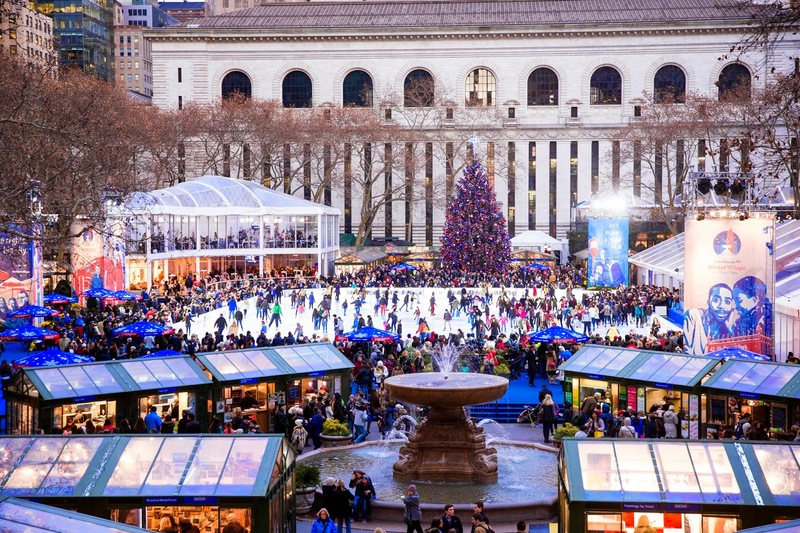 There was lots to do in NYC during the holidays, but nothing quite like Bryant Park. AP included Winter Village on their list 5 Free Things: NYC lit up and lovely at Christmas.